Zambia’s Minister of Health, Hon. Dr Chitalu Chilufya, has stated that in a quest to provide quality health services across the continuum of care, the Zambian government requires a critical component of health systems strengthening which is health care financing . He stated that this concept involved identifying key partners who would ably promote what the Zambian people aspire for. Dr Chilufya stated that the Esther Lungu foundation had proved to be one such key ally in health care financing through advocacy and lobbying for financial and material assistance from cooperating partners both locally and abroad. “Madam First lady, I want to go on record that the support we are getting from the Esther Lungu foundation is unprecedented in the health sector. We have witnessed unprecedented advocacy towards health systems strengthening through health care financing. “We do not take for granted your hard work. You traverse the nation serving lives through reproductive health services advocacy. 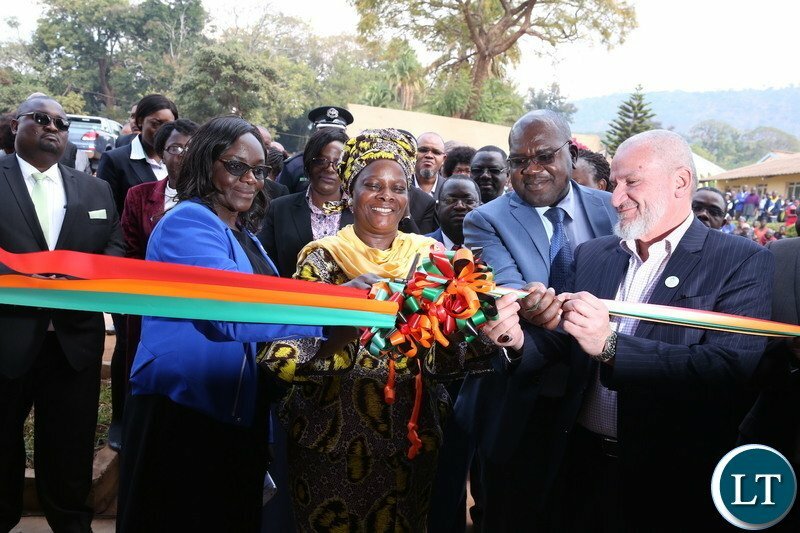 In Lundazi not so long ago and today, a mission that will restore sight to and change the landscape of the people in Chipata and beyond,” he said. He reiterated that the First ladys efforts in global health distinguished her as a lead global health advocate. “Indeed, in global health advocacy, we are seeing resources trickling into the country. You are forging partnerships with strategic partners within the country and beyond. And we are seeing the dividends,” he said. “As a health sector, we want to place on record our deepest appreciation for your support. And we want to say we will take advantage of this political will, this motherly and indeed Godly nature that you have to save lives and we will work even closer with You,” he added. Dr Chilufya said this in Chipata on the 10th of July when the first lady Mrs Esther Lungu commissioned the eye department at the Chipata central hospital which has been constructed courtesy of the Christian blind mission of Germany as well as kicked off the 10 day surgical eye camp that would see thousands of residents screened and treated for eye problems courtesy of several cooperating partners which included the Esther Lungu foundation trust, the Muslim world league , the International Islam relief organisation of southern africa , the Ministry of health and the Ministry of defence respectively . There is NOTHING to upload. This is either tax payers money or donated money that was used by her own accode to further her hunger for public acceptance to doing something right. I am at pains to agree with mushota, but iam not sure I agree with the use of ‘upload’ instead of ‘applaud’. PHD holder? I am doubting.